Natural Blue/Purple Tanzanite: 3.05cts. Natural White Diamonds.20cts. Total # Of Stones: 3 Cut: Pear. Total # Of Stones: 3 Cut: Princess. Natural Green Peridot: 3.20cts. Total # Of Stones: 1 Cut: Checkerboard Rectangle. Natural White Diamonds.25cts. Natural Blue Sapphire.88cts. Natural White Diamonds.32cts. Natural Black Onyx: 6.50cts. Total # Of Stones: Approx. 523 Cut: Round. 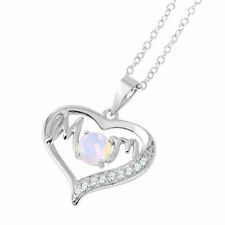 Sterling silver-Mother of Pearl. Spring ring closure. Amber And Sterling Necklace And Earrings 6g. Condition is Pre-owned. Shipped with USPS First Class Package. 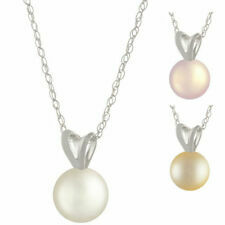 Natural Multi-Color Cultured Pearls Total # Of Stones: 105 Cut: Round. Color: Multi-Color Clarity: Clean. This set was obtained from an estate. Metal: Yellow GoldStyle: PendantLength: 18 - 19.99"
14K Yellow Gold Plated Silver Black Onyx Multi Tourmaline Bracelet 7"extender 1"
Fashioned in 14K yellow gold over sterling silver, this stunning piece boasts glowing charm. Black Onyx Oval 11x9.7 mm Checkerboard. 925 Sterling Silver. Style: BeadedLength: Less than 13"
Bling Bling. Opal Inlay. October Birthstone - Opal and Tourmaline. Gemstone : DOUBLE COLOR TOURMALINE QUARTZ. November Birthstone - Citrine and Topaz. August Birthstone - Peridot. March Birthstone - Aquamarine and Bloodstone. The beads are a rich spinach or imperial colored green. Possibly dyed quartz or nephrite. The clasp is a screw type clasp. It looks beautiful and is a simple yet elegant design! Don’t pass it up! Weighs 0.7dwt. Stamped 14k. In great condition, see photos! We stand behind all our products to be as described. WE WILL NOT DECLARE A LOWER VALUE FOR ANY ITEM(S). I ship within 24 hrs! This is a beautiful rutilated quartz sterling silver pendant necklace with a 29" sterling silver snake chain. It weighs 12.10 grams and the pendant measures 1 7/16" from the top of the bale to the bottom of the quartz stone x 15/16" wide. The chain is hallmarked Italy 925 but the pendant has no hallmarks but it has been tested and I guarantee it is sterling silver. I like the length of the sterling silver chain because I can just put it over my head without opening the clasp. 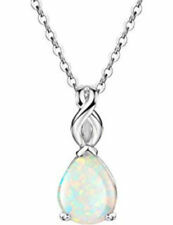 Ending May 1 at 12:35PM PDT6d 18hMetal: Sterling SilverStyle: PendantLength: 24 - 29.99"
RARITIES BY CAROL BRODIE - HSN. Beautifully Crafted Rose Cut Black Spinel and Rhodolite Pendant with Chain. Gemstones : Black Spinel Rose Cut and Grape Rhodolite Diamond Cut. 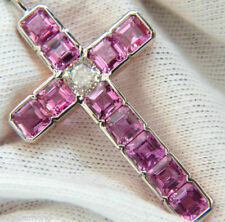 We are committed to bring you the best quality jewelry at best price. Bling Bling. November Birthstone - Citrine and Topaz. Gemstone : GOLDEN CITRINE. August Birthstone - Peridot. October Birthstone - Opal and Tourmaline. March Birthstone - Aquamarine and Bloodstone. January Birthstone - Garnet. Signed 14k. Total Weight of pendant is approx 3.5 Grams. Our Goal is to take clear and decisive pictures of each and every item. We work to describe each item as best and thoroughly as possible. Mignon Faget Sterlung Silver “G” Pendant Necklace With Chain. Condition is Pre-owned. Shipped with USPS First Class Package. Some tarnish from being stored in jewelry box. May have a few light scratches. No bag or box. 925 Sterling Silver. Chain: 16"; Pendant: 7/8" drop. Net proceeds from the sale of these goods and financial donations from the community make it possible for us to operate our free job training programs. Celebrate the July-born in your life with this birthstone pendant! This dainty, 1 ct round-cut created ruby is crafted in a setting of 10K gold. Piece measures 3/8 by 3/16 inches. Comes with a 10K gold 18-inch rope chain with a spring ring clasp. 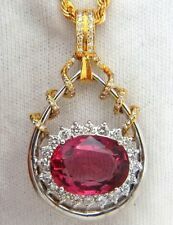 Solitaire Design 1 ct Round-Cut Created Ruby 10K Gold Measures 3/8 by 3/16 Inches 18-Inch Rope Chain . Ending May 1 at 2:10PM PDT6d 20hMetal: Yellow GoldStyle: PendantLength: 18 - 19.99"
New ListingSilpada S Silver Coin Crystal 22" Long Necklace N1713 Retired! Silpada N1713 Sterling Silver necklace. From catalog: Long and luxe, this oxidized Sterling Silver Necklace's coin embellishments and Crystal Pendant evoke casual refinement. 22" long with a Lobster Clasp. Excellent preowned condition, was a display item. No box. Ships First Class Package flat rate. Checkout our other Silpada items to combine shipping! STYLE: Slide. TYPE: Pendant. We do not repair or size jewelry, nor do we clean it. Bling Bling. November Birthstone - Citrine and Topaz. March Birthstone - Aquamarine and Bloodstone. Gemstone : Aquamarine. August Birthstone - Peridot. October Birthstone - Opal and Tourmaline. January Birthstone - Garnet. Sterling Silver 925 Oval Turquoise Dangle Slide Pendant . Condition is Pre-owned. Weight is 16 grams. Shipped with USPS First Class Package. Bling Bling. Opal Inlay. November Birthstone - Citrine and Topaz. October Birthstone - Opal and Tourmaline. August Birthstone - Peridot. Gemstone : BLUE Sapphire & White Topaz. March Birthstone - Aquamarine and Bloodstone. Green Jade Pendant W Gold Loop. Condition is Pre-owned. Measures 3/4” L, 1/5” W Shipped with USPS First Class Package. Mystic white topaz Butterfly Pendant Necklace. 2 pear shape mystic topaz 7x5mm. 2 pear shape mystic topaz 5.5x4mm. 14 round white topaz 1mm. 925 Sterling Silver. 18" chain 1.25mm wide pendant 5/8" x 3/4". Gemstone : Padparadscha sapphire & WHITE TOPAZ. Bling Bling. Opal Inlay. November Birthstone - Citrine and Topaz. October Birthstone - Opal and Tourmaline. August Birthstone - Peridot. March Birthstone - Aquamarine and Bloodstone. When you open the box you will be amazed! The fancy pendant looks good on a little black dress for an elegant look, or match it with a white blouse for a wedding look. Gemstone Shape: Oval. Beautiful blue blue sapphire set so prettily, chain length appropriate. Bling Bling. November Birthstone - Citrine and Topaz. August Birthstone - Peridot. October Birthstone - Opal and Tourmaline. March Birthstone - Aquamarine and Bloodstone. January Birthstone - Garnet. Pink Sapphire. Multi Gemstone Pendant Necklace. 925 Sterling Silver. 18" chain 1.10mm wide pendant 3/4" x 1/2". Jewelry Type. 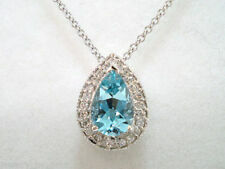 Pear shape blue topaz 6x4mm. Round blue topaz 2.5mm. 11 round white topaz 1mm. Diamond Information. JUDITH RIPKA STERLING SILVER BRAIDED BLACK LEATHER NECKLACE 18” Smokey Topaz, Citrine & CZ Gemstones Stamped .925 & Judith Ripka Weighs 31 grams Shipped with USPS First Class Package. 925 Silver. Marks: Italy, 925 (Chain); 925 FAS (Locket). Garnet: 4.5mm x 5mm. Chain: 16". Pendant: 1.1/8" x 13/16". Net proceeds from the sale of these goods and financial donations from the community make it possible for us to operate our free job training programs. Baltic Amber is fossilized tree sap that dates from 44 million years ago during the Eocene period. It is also purported to posses healing properties when worn next to the skin. Material 14K Gold/Sterling Silver. Diamond grading is not an exact science. To complicate matters further, no two diamonds are alike. Hence, Diamond grading is an opinion. Considering these factors there will always be a 1-2 grade opinion difference. Diamond grading is not an exact science. To complicate matters further, no two diamonds are alike. Hence, Diamond grading is an opinion. Considering these factors there will always be a 1-2 grade opinion difference. Gem type : 11 genuine gemstones. GREAT DEAL. Carat :Solid. 925 sterling silver. FREE GIFT BOX INCLUDED. New Page 1. DESIGN: This gorgeous drop necklace is studded with 6x4 mm pear shaped Mozambique garnet. Textured details add character. Mozambique Garnet Pear 6x4 mm Faceted. SUPERIOR QULITY: Gemstones are secured in 3 prong setting. THIS FABULOUS PIECE WOULD MAKE A GREAT GIFT OR ADDITION TO ANY COLLECTION. SIZE: 1" Long - 5mm x 8mm Bale Hole. GEMSYMONS ESTATE TREASURES. EVERYONE GETS AN EQUAL CHANCE. AND 6 ROUND DIAMONDS H I COLOR SI CLARITY. 15 CT.
Ending Apr 29 at 2:36PM PDT4d 20hMetal: Yellow GoldStyle: ClusterLength: 18 - 19.99"
All products are described as close as possible as to condition. We describe each item the best we can. (We do accept cash when picking up locally.). What you see in our photos is what you'll receive. Tous Jewelry Sterling Silver Faceted Mother of Pearl Mini Bear Necklace 16"
5/8 Ct Natural Rose Mystic Topaz Pendant in 10k White Gold 16"
5/8 ct Natural Garnet Pendant Necklace in 10K Yellow Gold, 16"